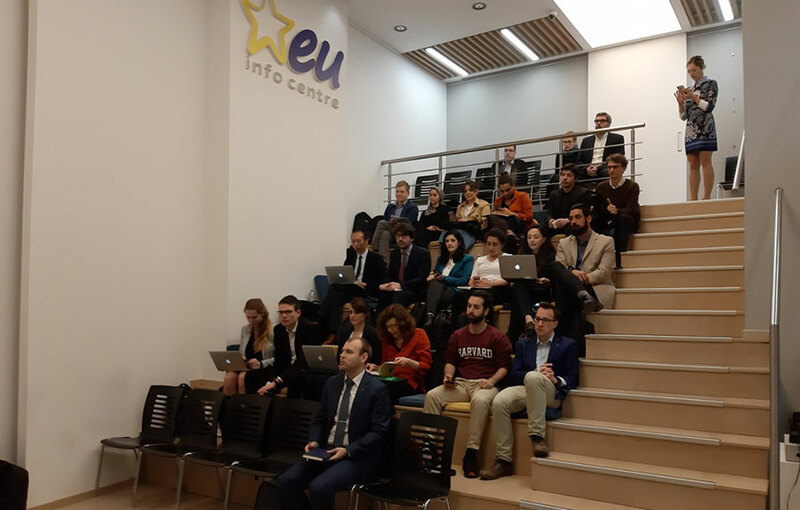 Head of the EU Delegation to Serbia Ambassador Sem Fabrizi spoke with students of the College of Europe from Natolin who are paying a visit to the region. The meeting was held at the EU Info Centre in Belgrade with Serbia’s EU accession process as the main topic of discussion. I am very happy to talk to you, as you are the future leaders of Europe, Ambassador said, noting that the fact that many of them don’t hail from EU countries speaks a lot about the College’s global ambitions. 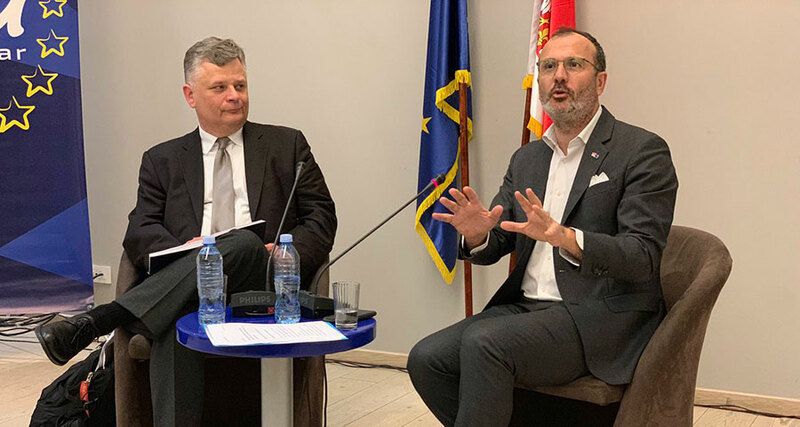 The Ambassador brought the visitors closer to the challenges of European integration in Serbia and EU’s expectations from a candidate country. “EU accession is like entering a family; it’s a completely unique relationship. It affects everyone: students, businesspeople, engineers and so on. Thus, the integration process must include the whole of the society,” Fabrizi said and added that one should not bargain on a date when it comes to accession. “Accession is not about the date, but the process. When you initiate a process, there is a union that’s working smoothly for the past 60 years, it is harmonized and makes joint decisions. Societies that want to join it, must adapt to it in a number of areas,” Head of the EU Delegation said. Following the opening remarks, students had a chance to ask Ambassador about the rule of law and the state of democracy in Serbia; the Belgrade-Pristina dialogue; and Union’s attitude towards foreign actors, such as Russia and China. According to one of the students, enlargement fatigue is among the biggest challenges. “We are trying to communicate the benefits of enlargement – both inside and outside the Union – such as the economic benefits or the freedom of movement. This process is not only about Serbia. I believe younger generations in Serbia should not lose their faith,” Ambassador said. He added that the EU is the most ambitious peace project ever and that it is necessary to reconcile the ideology with the reality. The EU remains committed to the Western Balkans, and the Regional Roaming Agreement is the latest proof of our commitment, Fabrizi underlined.